Today has been quite the rollercoaster for Fortnite (Free) in general with a big update and a huge new feature for new iOS devices. If you own an iPhone XS, XS Max, or XR, you can now play Fortnite at 60fps. This is something that isn’t even possible on the Switch version yet. Now for the bad news. Fortnite gets gifting today on all platforms that aren’t iOS. Epic Games claims Apple’s policies prohibit gifting for Fortnite. Before you raise your pitchfork at Epic, I’ve seen this happen with another big app. LINE Messenger that allows in app purchases on iOS, doesn’t have gifting on iOS. You can receive gifts on iOS in LINE but can’t send gifts. Fortnite on iOS supports in app purchases but will not have gifting. Considering it has been years and LINE hasn’t implemented gifting, I don’t see that changing anytime soon here unless Apple is willing to bend the rules just like Sony had to do for Fortnite. Initially, gifting (on non iOS devices) will be available for a week only and you can gift three times within 24 hours. You need to have been friends with someone for at least 48 hours to gift them something. Gifts can be turned off for your account as well. 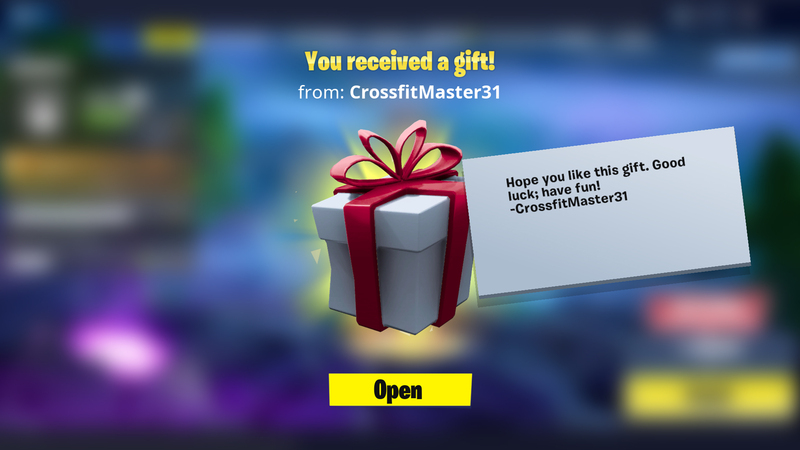 It will be interesting to see if the next time the gifting period is live in Fortnite whether Apple changes policies or not. If you do play Fortnite, we have a dedicated channel in our Discord. Make sure to join our Discord channel here to squad up and get some Victory Royales. If you play only on Nintendo Switch, you can now play with PS4 gamers as well thanks to Sony finally allowing true cross play. Maybe one day, Apple will allow gifting in apps and games.